We UK manufacture all our personalised condolence books uk to suit your individual requirements, these are normally A4 landscape, with a ring binder mechanism fitting to allow the client to add or remove pages as and when required. However we can make these to your bespoke requirements if required. 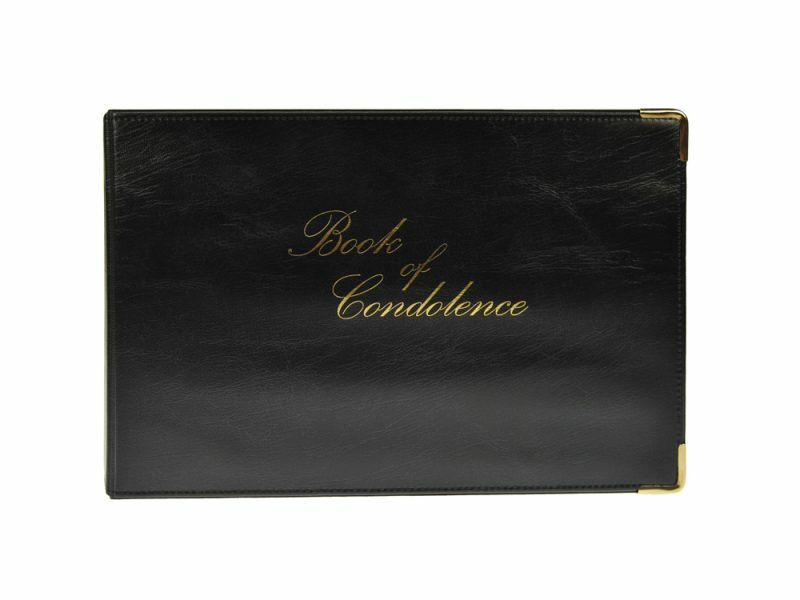 Personalised condolence books ukcan be made in stock PVC over board, foam padded to give them a more substantial/luxurious feel or made in an imitation leather to give them a high end finish. 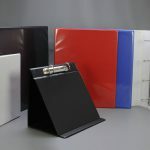 You can have your personalised condolence books uk fitted with metal corners to really finish the look off. 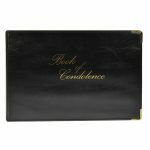 The personalised condolence books uk can be foil blocked or silk screen printed with the standard “Book of Condolence” text or with your logo added.